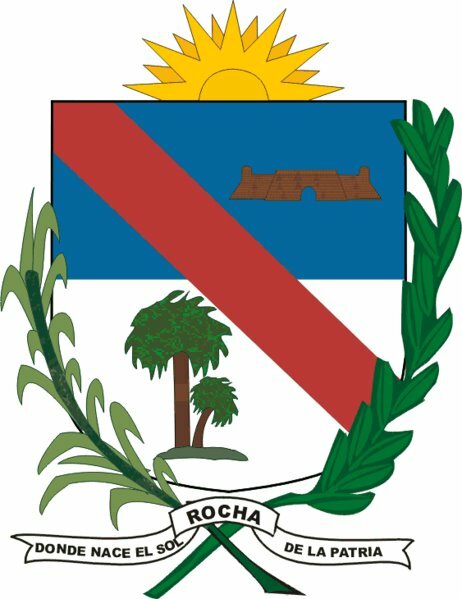 The Department of Rocha Uruguay is an eastern province of this small South American Country that is known for both tourism and agriculture. This is an area that attracts large numbers of tourists, particularly during the warm summer months. Many Brazilian guests take advantage of the Rocha coastline both for its beauty and for its close proximity of this province to their own country. Some of the favorite attractions include sites such as Cabo Polonio, Santa Teresa and Valizas. One of the reasons that the Department of Rocha is highly rated by visitors is due to the temperate climate. This allows guests the opportunity to spend sunny days enjoying the sand and surf at the different Rocha beaches. At Cabo Polonio you can spend the day experiencing nature at its finest. The wind is often briskly whipping the waves along the shoreline and there are large sea lion colonies that can be viewed just off the coast. While there is no electricity at Cabo Polonio and no running water, many visitors still come to enjoy this rural, natural setting in the Department of Rocha. One of the most popular attractions is the walking sand dunes. Of course these sandy hills do not really walk, but the continuous push from the winds makes it seem this way. This phenomenon occurs because the ocean driven winds are constantly changing the shape and position of the dunes. 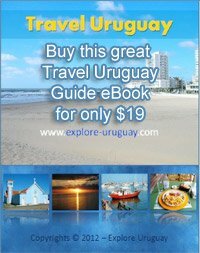 Visitors flock to many of the coastal settings that are available in the Uruguayan Department of Rocha including the popular settings of La Esmeralda and Punta del Diablo. Although Punta del Este and other Maldonado beachfront communities may be more well known at this time the beaches that are located in Rocha Province may soon become even more famous. You will discover Uruguay Gauchos working at the many Cattle ranches which are a primary business for many people of Uruguay who live in the Rocha Department The open fields and gently rolling hills are ideal for grazing large herds of cattle. Uruguay is already famous for producing some of the best beef in the world and this agricultural based industry is continuing to expand rapidly. Tourisits exploring the Rocha Department have a number of opportunities to travel to cattle ranches and observe the gauchos at work. In addition to the capital city of Rocha tourists often visit other interesting towns including Cebollati, Chuy, La Paloma, Velazquez, Lascano and Castillos. The population in the Department of Rocha Uruguay is nearly equally split between males and females. One recent census stated that there were 98 males for every 100 females. One of the top beach resorts in the department of Rocha Uruguay is at La Pedrera. This summer oasis overlooks the crashing surf of the Atlantic Ocean and offers guests a stunning variety of seaside views. There are nightclubs, restaurants, shops and live music venues all waiting to be explored by everyone who visits the Rocha Department. One of the small fishing villages in the Department of Rocha Uruguay is Valizas. This is a quaint town that provides you a chance to relax and interact with nature. The beach at Valizas is one of the favorite attractions, and even during peak tourist season you will never have to battle with large crowds of visitors. Another interesting fact that concerns Uruguay’s Department of Rocha is the fact that it is being touted as a top investment for investors. The Rocha beaches are just as beautiful as those that are in the Maldonado Province, yet the cost for Rocha based real estate is much lower. As more tourists become aware of the natural beauty and appeal of Rocha’s coastal areas the boom in tourism and real estate will have a marked effect on the future of this Uruguayan Province.